Relax - it's time to have some fun! Congratulations on your happy day! You deserve all the success and happiness in the world. Success! You've made it to graduation, and are sure to do well in the future. I knew you could do it! All the hard work has paid off. Many Congratulations! Your graduation is a time to celebrate. Well done and good luck for the future! The future is looking bright. Congratulations on your graduation! This is your moment, this is your year 2016! You are awesome! 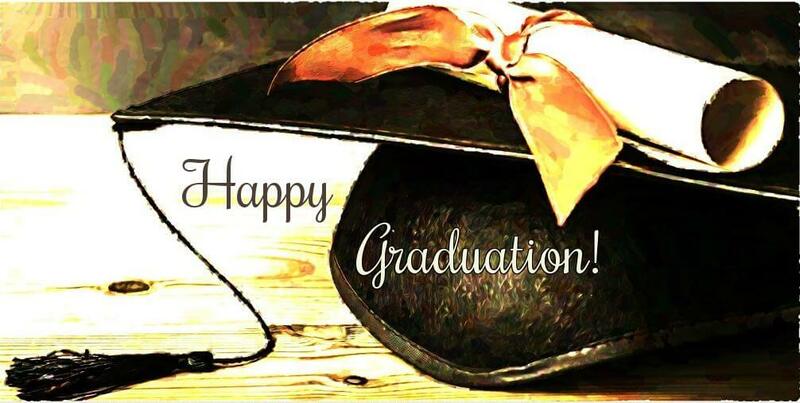 May your graduation be the beginning of a future filled with success and happiness! Congratulations on college graduation! So proud of you on this great achievement! The human spirit needs to achieve and triumph to be happy. You're infinitely more talented than you think! May this new chapter of life bring you new passion and inspiration. My dear, you should be so proud of yourself for your dedication and persistence. Remember to set your sights on the stars and to reach for them always. Believe in yourself, because you are so unique with no limit to what you can do! You've worked really hard! Through the years in college/ high school you have acquired knowledge and friendship. I hope you have many more successes in the future! The hat, tassel, and robe suit you! A diploma gives you the chance to prove yourself! Now you're standing on the edge of a whole new life. Your future is bright and the only way is up from here! Love and hugs for you! With proud hearts you are wished sincere congratulations on passing out! All your dreams can come true only if you have the courage to pursue them. May you always keep learning, growing, and realizing the best in yourself. Education is the key which unlocks all your potential. It takes courage to grow up and become who you really are. May these inspirational graduation quotes and the degree you earned help you in thriving in the field you've choosed. You are an inspiration to all of us. Now you can spread your wings and fly. We hope your dreams take you to the most special places your heart has ever known. The purpose of education is to turn mirrors into windows. Now you achieved your goals and will have a bright, promising career as a (proffesion). In my message I just can't tell you how proud I am of you today! Congratulations and Best Wishes! Congrats, Son! Four years of college is now history. But remember, a person who graduates today and stops learning tomorrow is uneducated the day after. So when you leave, don't forget this quote and why you came here. Happy graduation day, dear daughter! Your reward lies ahead. I wish you to dream no small dreams for they have no power to move the heart of man. Congratulations on your more than successful graduation, Son! Now you see how important is to have determination, optimism and patience. Enjoy the fruit of your efforts and hard work!